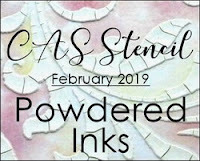 My inspiration comes from three challenges - Style from Addicted to stamps and more - Clean and Simple, colors Altenew's February 2019 Challenge, and Embossing from Just Add Ink. 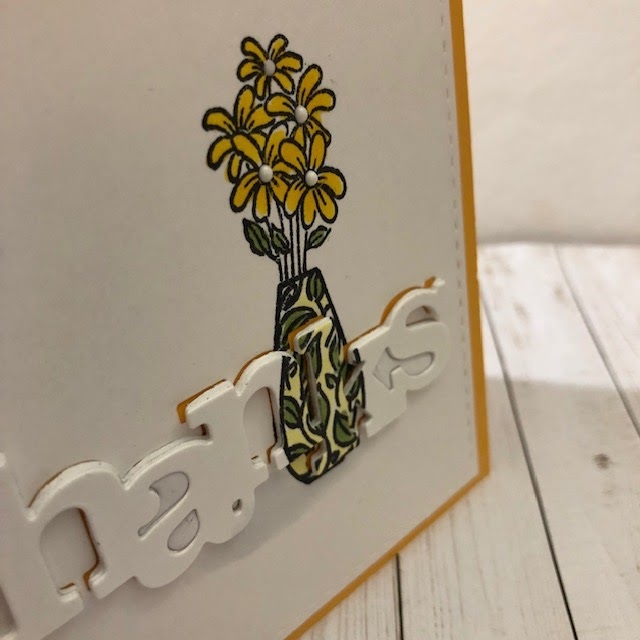 Stamp is Leafy Canopy from Altenew, white heat embossed and colored with Zig markers on bristol paper. Its not my normal, but I had fun playing with a messy look. Gold and black spits and spatters were added in the end. The panel was mounted on a light gray card base. 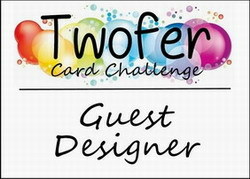 A card that was inspired by three challenges for this evening. I'm getting in just under the wire too! The technique inspired by CAS Mix UP Challenge, - I used the stacked die cut, stamping, copic coloring and a border die cut. The colors were inspired by CAS Colors and Sketches - Two yellows and a green. 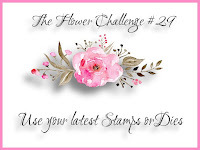 The stamp set came via The Flower Challenge to use your newest stamp. I am amazed at how well that vase is camoflaging part of the n and part of the k in my word thanks. I had to stand it up to show the letters. It also makes it easier to see my lil white nuvo drop flower centers. I'm always in need of thank you cards, and this one was fun to make. I'll probably have to make a few more very like it. I wanted to make sure I got to play in two more Christmas challenges this month to keep growing my stash before the holiday season which seems so far at this moment has a chance to sneak up on me. 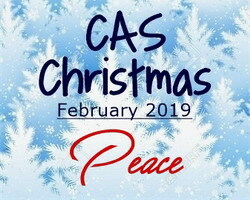 I was inspired by two challenges, Christmas Kickstart which is asking for a heart, and CAS Christmas whos theme is Peace. I'll admit to walking the edge for my card to be CAS, but there is still quite a bit of white space. 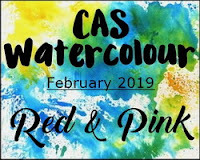 I have an entry for February's CAS Watercolour Card Challenge. 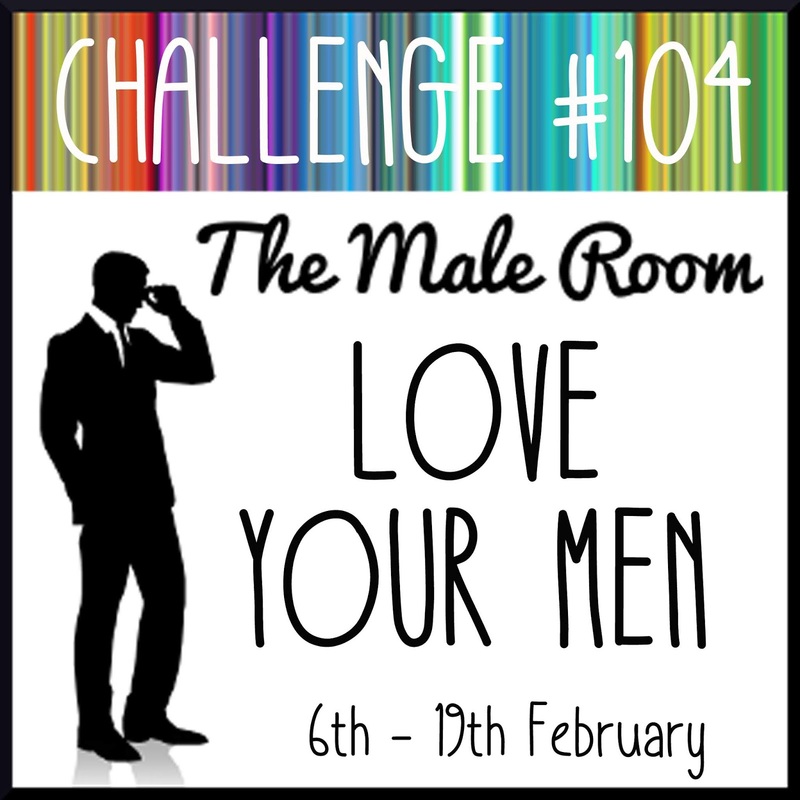 The challenge cue is Pink and Red. I broke out a new Newton's Nook Stamp, and colored the tulips with some Zig markers on watercolor paper. I used a wet brush to soften the red. The dress was colored in pink. After it was dry, I went back to the tulips and I gave them more red, with a tiny bit more blending. I think those tulips look positively velvety. I added an oval hemstitch die to frame my image and mounted it on a red card-stock base. The sentiment too, is from the Newton's Nook Set Loads of Blooms. I usually make serious cards for the family, and this year I am going to go with cute critters for the most part. Its something different. One of my SIL's likes cats so this Newton's Nook stamp came to mind...its been waiting to be inked up. Man cards. So difficult. This year I am having fun with them. This one is for my BIL. I posted earlier tonight my first brusho / stencil experiment. I loved how it turned out. It was nice and controlled. I stayed within the lines for the most part. I created these panels all at the same time. After selecting one for my last post, these were the remaining panels. I decided to make them into cards as well. 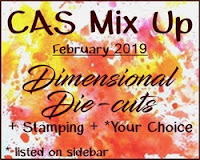 I'll be submitting these to CAS Stencil, International Art & Soul, Simon's Wednesday Challenge and AAA Cards. This is the intended piece, created with torquoise brushos and a fern stencil. Again this stencil has a tacky back so it stays in place. I blocked off the edges so there would be no over-spray into the upper panel area. 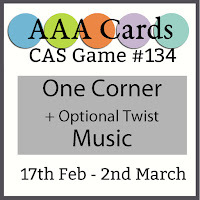 This card is being submitted to AAA Card, CAS Stencil and Simon's Wednesday Challenge. There was a lot of color left over, so I laid a piece of watercolor paper on the top of the stencil after I had taken off the piece above. I love all the color on this. This will be submitted to International Art and Soul a new to me challenge calling for a monochromatic card. After getting the above panel, it seemed as if there was still some watercolor left to play with, so I dropped another panel onto the stencil. I needed a card for my Godson's Dad who just had a knee replaced, so I thought this might work. 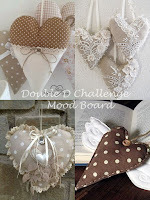 I'll be submitting this to another new to me blog, Crafty Animals. Lastly, is the second piece made from my first piece on my previous post. I wasn't originally sure that It would work out. Red and green blending end up making brown, so I wanted to see how it dried. I like that it is so different from anything I usually make. Thanks so much for coming by, and especially if you made it through to the end. 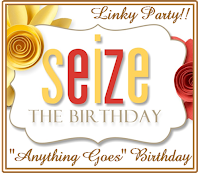 I have a card for three challenges, CAS Stencil Challenge, Penny Black Saturday Challenge and Seize the Birthday. I used Brusho's in green and red along with a Penny Black Stencil, Promenade. I checked out a few You Tube videos for some technical help. I thought it might get really messy, but it turned out pretty well controlled within the stencil openings since I have re-positional spray glue on the backs of most of my stencils. 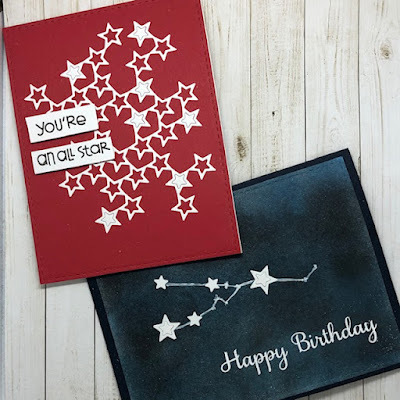 I finished the card by putting it on a black card base and added a birthday sentiment. I love the bold colors with the black. Hope your day is filled with lots of love. I'm not one for crowds or crowded dining out. We've tried the fancy celebrations and they always fall flat somehow. Hubs has brought me a lovely bouquet of flowers and tonight we'll be dining in on take out and watching a rented movie with some chocolates for desert. This card is a little busier than I usually make, but that Penny Black Hedgie sitting on that heart spotted mushroom is so cute. The Avery Elle heart frame also sends lots of love. 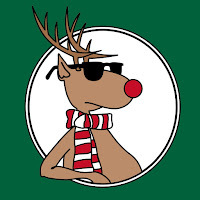 The sentiment comes from Lawn Fawn. This Valentine made me smile once I had it put together. I am submitting this to Addicted to Stamps and More, The Card Concept., Penny Black and More and Die Cut Divas. Now that the Valentine's are completed my flower stamps can come out to play. This Peruvian Lily from Altenew has a lot of layers, but you don't have to use them all. I used about 5 shades of pink Altenew inks to stamp the flower portion, thankfully it lines up fairly easily. 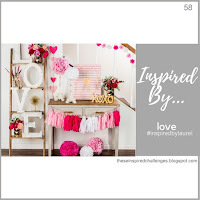 The photo inspiration at inspired by has a lot of luscious pinks. They inspired my coloring of the wheelbarrow full of love in my card. 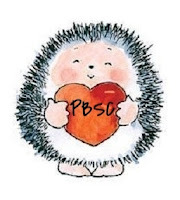 The stamp comes from Penny Black, and I have to say I have loved playing with the hedgies. The Valentine greeting is inside. Seems like it has been awhile since I've sat down and posted a card. 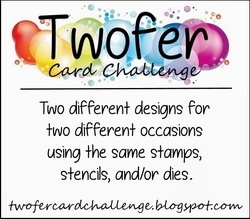 My twofer card from the previous post was actually made and set up for posting in January. 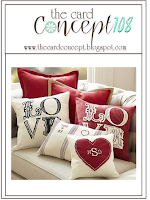 Those guest designer posts need to be done ahead of time. 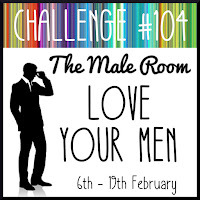 So looking through my challenge folder for anything due on or around the 12th, I found the Less is More challenge requiring navy and yellow. I am in need of thank you cards so I whipped up a few using the Ditsy print stamp from Altenew. Its cute and whimisical, and best of all for me...there are flowers. Its a very quick card, stamping and partial coloring. One ink, one marker. A few colored matching pearls and its finished after mounting on coordinating cardstock. Challenge #3 at Christmas Kickstart is Festive Felines. I have a few Christmas cat stamps, and this one from Newton's Nook is one of my favorites. I've paired it with and Elizabeth Craft pine branch. Can you just imagine a kitty hanging on? The first cat I had, was a Christmas Tree climber, he knocked a few trees over and broke glass ornaments. We finally went to an artificial tree decorated with glossy paper mache apples. He would bat them off every branch and chase them around the house. He was with us almost 19 years. He was the runt of a litter of barn cats and was too slow to scramble up into the hayloft as I grabbed him. He was an excellent mouser and would play fetch with small toys. Sometimes I like to make smaller cards. Valentines day is perfect for a smaller card, and this bouquet of hearts from Art Impressions. 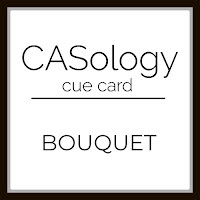 I am submitting this card to Casology - Bouquet. Another Valentine, this one is for my Godson. 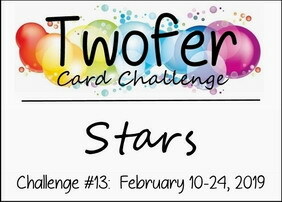 I thought the bolder darker colors would make a good male card; and Valentines can be cute even if they are for men. I had such fun coloring that card, I made another softer version of it. I am submitting this one to: Addicted to Stamps - Make your Mark.